To ensure that timber fire doors meet the approval of the Dubai Civil Defence codes, producers of fire door assemblies should work with component suppliers who are fully certified and understand the specific technical requirements of the relevant building codes and the technical requirements in terms of fire resistance. This is the key advice from Pyroplex, specialist manufacturer of passive fire protection products, who partners with many organisations across the Gulf region to provide high performance intumescent door seals that can achieve a resistance of up to FD120. 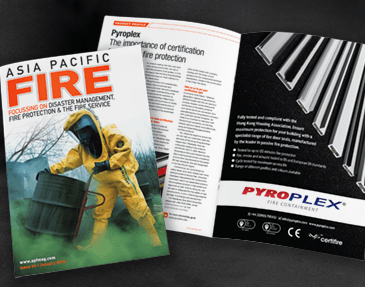 Pyroplex is a long established, specialist developer and manufacturer of certificated components, supplying international customers with their often-complex requirements to ensure optimum fire safety in both commercial and residential buildings. Timber fire doors are a critical safety area for construction companies to address and Pyroplex offers immense and valuable technical expertise regarding the correct specification of fire door seals and the subsequent testing of assembled products. A comprehensive range of products, profiles and colours are available, ranging from rigid box intumescent seals, flexible seals and seals with pile for fire, smoke and acoustic benefits, to fire glazing systems, and developing specialist custom extruded intumescent components. Focusing on a popular choice such as rigid box intumescent seals for fire doors, fully tested specifications ranging from FD60 to FD120 are available, dependent on the level of fire resistance required in a particular construction. Always looking to add the most value for its customers, Pyroplex Technical Manager, Andy Walsh regularly works closely with the fabricator on their proposed specification, starting with the review of the system and associated assemblies, ahead of the construction of the timber fire doors. Pyroplex has been advising its principle clients over the last 10 years, on proprietary designs of fire doors, which has resulted in no test failures at FD90. This level of expert involvement can prove to be extremely beneficial in terms of reducing testing cost in such a tightly regulated industry. There’s no doubt that certification is key to the passive fire safety industry, not just in the Gulf, but worldwide. And yet the specifics of this certification can vary by geographic region, with different bodies recognised and involved, sometimes at a country level, causing no end of confusion if not fully addressed. 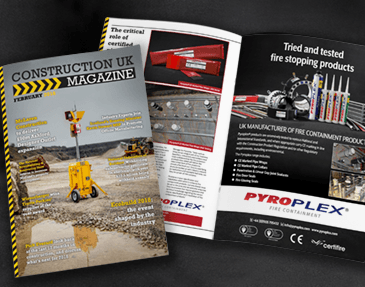 Comments Andy Walsh: “As a specialist in fire resistance, we’ve very much made it our business to understand the technical requirements in every single country that we operate in; whether that’s the UK, Europe, Gulf States and Asia Pacific regions. The result is that our customers rightly rely on us to guide them through this minefield and ensure that they specify products and components that are effectively tested and certified for the destination country of installation.